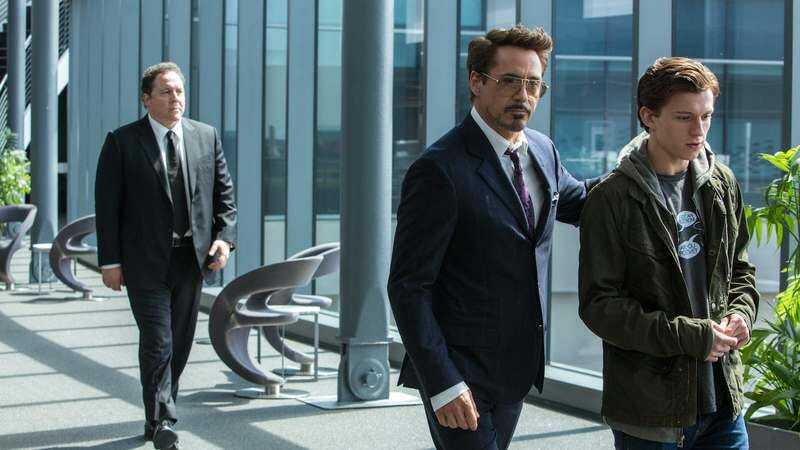 Robert Downey Jr.’s Tony Stark has been a huge part of the marketing for Spider-Man: Homecoming (especially on one particular poster), but he’s not going to become a regular part of the new Spider-Man movies. According to The Hollywood Reporter, Iron Man won’t appear in the Homecoming sequel, but Sony has worked out a deal with Marvel Studios to get some “to-be-determined” superhero from the MCU in his place. We have no idea who that might be, and THR doesn’t offer any clues, but there’s really only a handful of characters that would feel as appropriate in Spider-Man’s world as Tony Stark does. Captain America seems like a reasonably safe bet, but Chris Evans already seems to be stretching the limits of how many superhero movies he’s willing to do. Thor would be weird, Hulk would be a little weird, Hawkeye would be boring, and most of the Guardians Of The Galaxy wouldn’t make any sense (as fun as it would be to see Spider-Man swinging around New York with Rocket Raccoon), but Benedict Cumberbatch’s Doctor Strange might be a good pick. Maybe the movie could tackle some of the weird/stupid mystical stuff from the Spider-Man comics like Madame Web, and Strange could introduce Tom Holland’s Peter Parker to magical concepts. It’s not necessarily a good idea, but at least they could throw in a meta gag about how both Holland and Cumberbatch are from England in real life. The Spider-Man sequel is still a few years off, though, so maybe Spidey will strike up an unexpected friendship with Black Widow or Bucky Barnes in Avengers: Infinity War and they’ll decide to come hang out in his next solo movie.